Today I came across another multi-pedal shootout. 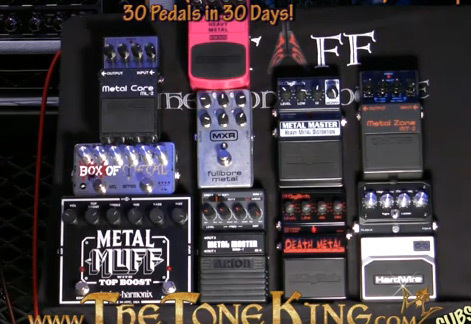 This time it’s the Ultimate Metal Pedal Shoot out by the Tone King where he demos 10 metal pedals. Giving each pedal about a minute each, and playing the same basic riff and includes a small lead line. If you’re looking for some metal tones, and looking for a pedal to help with that, this is a great place to start. The Tone King definitely has some great videos, so I would recommend following him on YouTube. Ouch, the differences were not nearly as great as I expected.